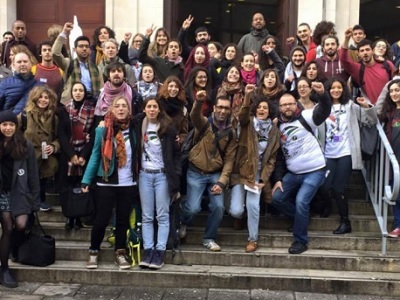 The largest student union in Britain has officially endorsed the Boycott, Divestment, and Sanctions (BDS) campaign, in a significant success for Palestine solidarity activists. The University of Manchester’s Student Union Senate voted last Thursday to pass a motion in support of BDS. The motion won the backing of 60 per cent of the SU Senate, following an impassioned debate. The motion was put forward by Huda Ammori, President of Recognize Refugee Rights Society, and was supported by Etisha Choudhury, President of Action Palestine, and the BDS Campaigns Committee. In the three weeks prior to last week’s Senate meeting, more than 15 academics and 250 students signed a letter of support for campaigners’ demands. Specifically, the campaign demands that the university “sells its £15 million of investments in companies linked to Israel’s crimes against the Palestinian people”, including a stake in Caterpillar, whose bulldozers are used by the Israeli army to demolish Palestinian homes. 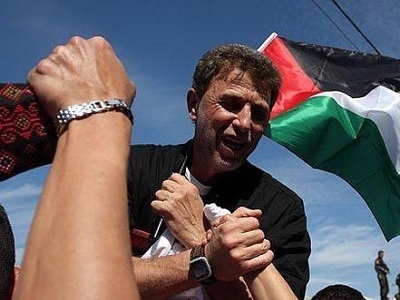 A second demand is for the university to cut its ties with Technion, an Israeli university with deep ties to the Israeli arms industry and defense establishment, where research is conducted on weapons that are then deployed against occupied Palestinians.